Tencent’s WeChat started early 2017 their mini programs, a solution away from full blown apps, or building a platform, to help brands on their service. 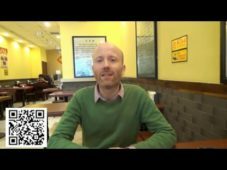 WeChat expert Matthew Brennan explains at the JingDaily how why the mini programs took off successfully after a slow start. In the past, brands entering China either had the option of building their own ecommerce platform or opening a store on a third-party ecommerce platform such as Taobao or JD.com. However, neither option was ideal.